How I look forward to seeing these little beauties! Even though I've come to the point where I'm now keeping a close watch on where I know they'll be coming up, it's always a happy surprise to see that first thin, determined leaf knifing through the snow. Not that I hate winter, far from it - I really enjoy the change of seasons; each brings it's own style of beauty. But, come the end of those long Wisconsin winters that seem to keep fighting to stay just a little longer, it's always nice to see Spring pushing it's way in. This image is one of a set of three from this shoot that I can see as a nice tryptic ~ three heralds trumpeting in spring and shouldering winter aside! 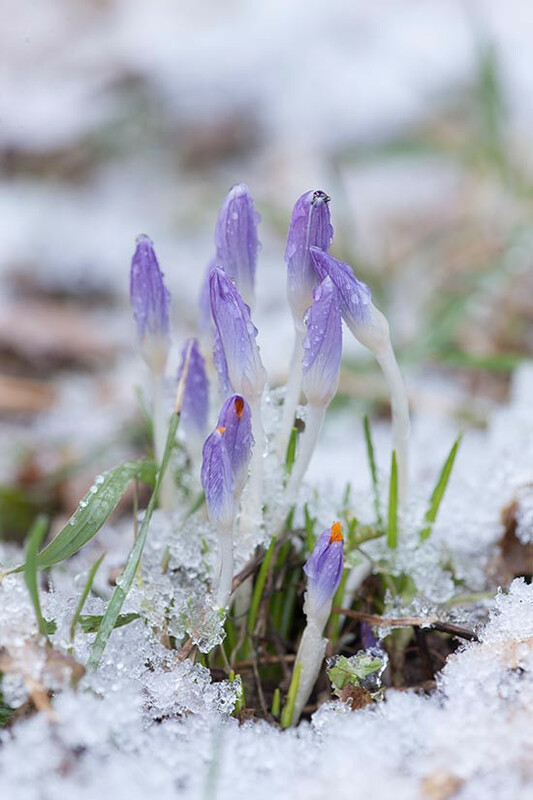 What is your favorite harbinger of Spring?